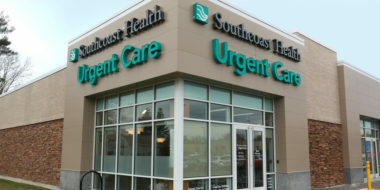 Southcoast Health today announced that its new Urgent Care center will open at the SouthCoast Marketplace (450 William S. Canning Blvd) in Fall River on Tuesday, July 10. “Our Urgent Care centers are especially important now that we are living in an age where our patients have truly become healthcare consumers. Convenience, access, customer service, transparency and affordability are the features consumers not only expect, but demand, in the retail and hospitality sectors. We are seeing these expectations in healthcare now as well. Patients want high quality care when they need it. Our Urgent Care Centers deliver on those expectations,” said Keith A. Hovan, President & CEO of Southcoast Health. 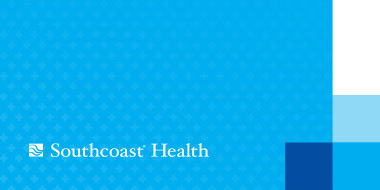 The 5,700 square-foot Southcoast Health Urgent Care center is a community resource for immediate, non-emergency care. It is staffed by a specialized team of physicians, mid-level providers and a number of ancillary and support staff, and offers a full array of services including on-site radiology and laboratory services, basic orthopedics, gynecologic and minor surgical treatments, and medications. The Urgent Care center will be open seven days a week – Monday through Friday from 8 a.m. to 8 p.m. and Saturday and Sunday from 9 a.m. to 5 p.m. Common reasons for visiting the Urgent Care include: strains, sprains and fractures, infections, animal bites, skin conditions, burns, lacerations, contusions, cold or flu symptoms, some immunizations and vaccinations, and school, work, sports and physicals. For added convenience, patients seeking services at Southcoast Health Urgent Care centers can wait in the comfort of their own home until it’s their turn to be seen with its new online check-in system. Visitors to www.southcoast.org/urgentcare can find the closest center, its current wait time and click “Save My Spot” to get in line electronically. 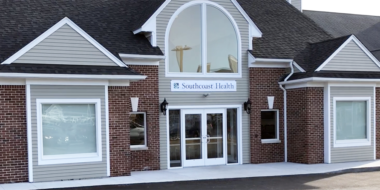 The new facility in Fall River is Southcoast Health’s sixth Urgent Care center, including 208 Mill Road in Fairhaven, 2421 Cranberry Highway in Wareham Crossing, 435 State Road in Dartmouth, 39 Commerce Way in Seekonk and 12 Main Street in Lakeville.